E-Z PULL HOSE REELS are designed to make hose handling safer and smoother and to minimize costly hose replacement caused by excessive rewind speeds. Rewind pull is kept to a minimum. The result is a reel that is gentle to pull out, yet very adequate to rewind the hose. In some situations, the rewind pull provided by E-Z PULL reels may require a gentle assist from the operator. 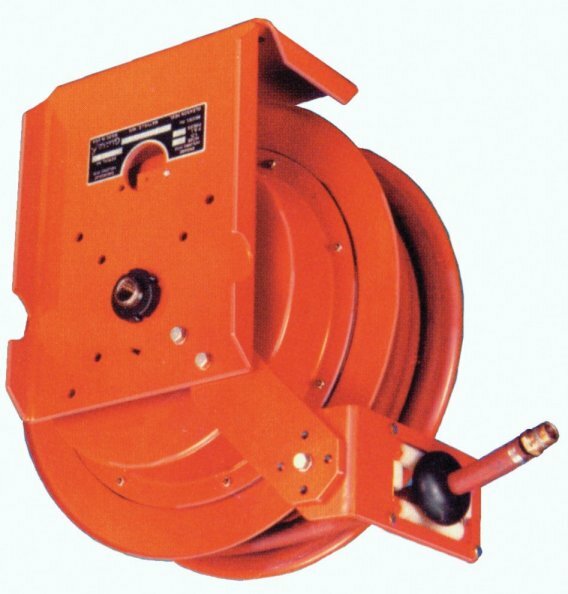 The E-Z PULL reel was designed to drag the hose across the floor, but will not lift the hose weight vertically. Therefore, the reel should be mounted a maximum of 3 ft (0.9m) above the floor so that the hose may be pulled horizontally. Reel may be mounted with base up, down, or on a wall. 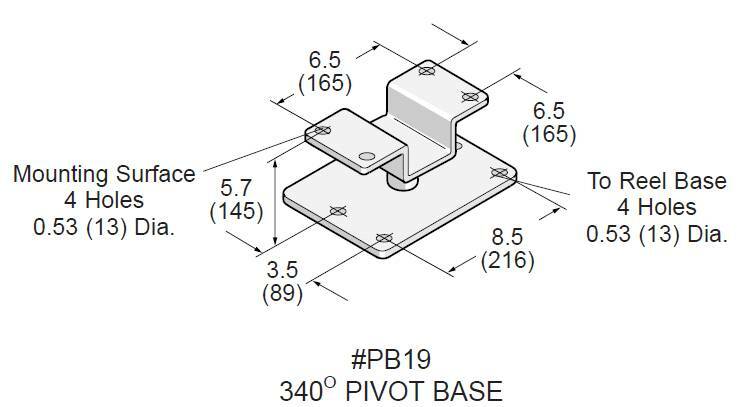 A typical mounting is under a workbench or other floor mounted equipment. 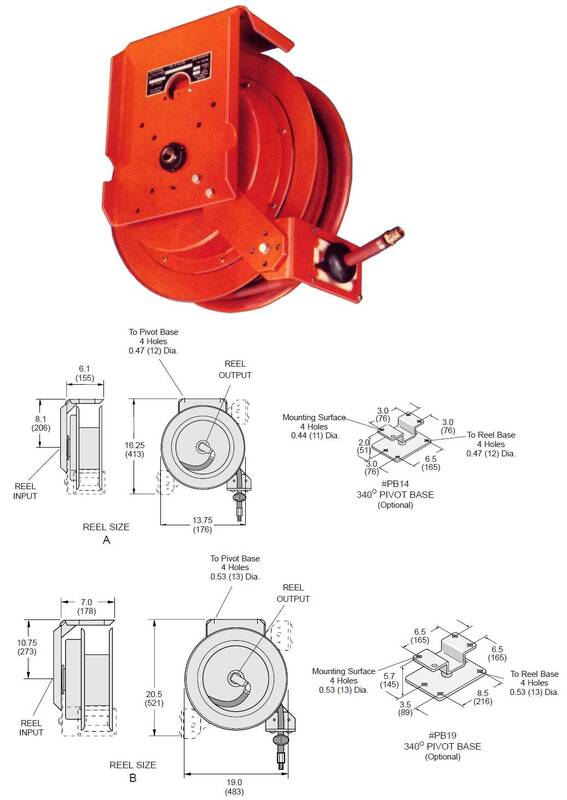 This reel is not designed to be mounted on a machine requiring automatic hose rewind. (35LBS) H 8" L 18" W 16"
(40LBS) H 8" L 18" W 16"
(30LBS) H 8" L 18" W 16"
(30LBS) H 10.00" L 20.00" W 12.00"
(60LBS) H 10.00" L 20.00" W 12.00"
(62LBS) H 10.00" L 20.00" W 12.00"
(12LBS) H 4" L 6" W 8"
(23LBS) H 6" L 8" W 10"